THE LORI RUG - Among tribal rugs, the Lori rug is one of the most notable due to its rarity. 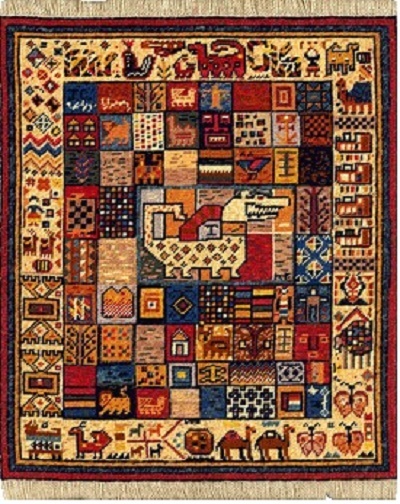 Among tribal rugs, the Lori rug is one of the most notable due to its rarity. Yet, its scarcity can likely be attributed to, at times, the unscientific field of rug classification. Like others who have struggled to make a name for themselves in rug history, many carpets which would otherwise be categorized as Lori rugs sometimes fall under another distinction altogether. These categories include Qashqai, Khamseh, Baktiyar, Isfahan and Village Persian rugs, each of which are well-known among those who study antique rugs, as well as the collectors who seek them out. Another reason Lori rugs have become uncommon in the marketplace is owed to the Lurish tribes themselves. Even though the population of Lurish peoples living inside of Iran has reached an estimated 5 million, their nomadic leanings and isolation from more commercialized areas offers them fewer opportunities to access buyers of authentic Persian rugs. While a great many Lurs have settled in urban areas, most Lori rugs coming from the area of western and southwestern Iran are assembled by weavers on the outskirts of large city centers. 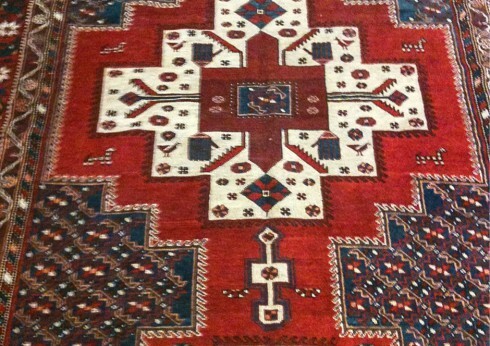 It is part of their enduring culture to do so as rug artists. From the cities and villages of Lorestan and Fars to Bakhtiari and Isfahan, the Lurs have retained much of this culture by preserving their unique Lurish language. It has been said their language may be one of the more ancient in Iran, as it closely resembles the earliest Persian dialect from over 3,000 years ago. Lori rugs, too, exhibit this same type of antiquity. Speaking of their history, distinguished rug scholar James Opie wrote, “The romantic mental picture that rug collectors in the West developed regarding tribal weaving traditions is more appropriate to Lurs than to any other group.” Yet, despite their esteem in the minds of rug academics, most rug collectors today aren’t aware of the tremendous impact Lori rugs have had upon the craft. Regarding the quality of Lori rugs, it is first important to note their use of superior wool, which is often obtained from flocks overseen by Lurish shepherds, who ensure healthy grazing and watering sources. Not only does this wool give rise to a supple and durable rug, but it also guarantees the threads which make up the weft will easily absorb, and thus retain, their natural dyes for the duration of the carpet’s lifetime. More than other rugs from the region, the Lori rug’s color palette features rich and vibrant shades that speak boldly of their unique nomadic traditions and dynamic way of life. It is not uncommon to see stunning reds, healthy blues, lively greens as well as audacious yellows and oranges combining effectively upon a Lori rug’s structure. Their motifs, however, are fairly standard when compared to other Persian carpets. Whether they utilize geometric shapes, complex homages to local wildlife or even tribal or floral patterns, Lurish artists tend to lean towards tradition over exclusivity. This could be where some of the confusion is generated when attempting to distinguish Lori rugs from others being produced in Iran. Yet, despite the lack of clarity in definition by Lori rug enthusiasts, these carpets persist as some of the finest examples in tribal rugs today.